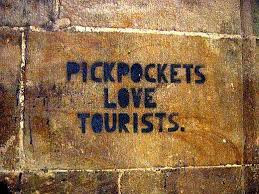 1) Carry a travel money belt instead of a backpack - you'll be less of a target to pickpockets. 2) Leave the bling behind - expensive items, and even expensive looking items, may attract the watchful eye of thieves. 3) Avoid running into trouble by exercising the same caution overseas as you would at home - e.g. don't jump into a car with a stranger, avoid walking alone at night and take measures to safeguard your items. 4) Familiarise yourself with the local currency and be wary of vendors who might try to short-change you. 5) Keep your passport safe and do not give it to anyone or leave it as a deposit for a jet ski or bike hire - it is the most valuable thing you take on holiday! 6) Be mindful of where you leave your items, even if right next to you. Normal places to put your items in Australia are often targeted overseas by thieves. Avoid leaving them unattended on the beach or in other public places such as bars and restaurants. 7) Avoid using unlicensed taxis. Use licensed, marked taxis, and note down the name of the company and driver. Be wary of taxi drivers who might try and drive away with your items still in the boot. 8) Be mindful of distractions thieves use such as kids trying to sell items or people telling you there is something in your hair or on your top. 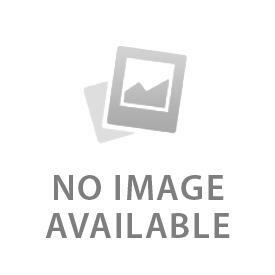 9) Never leave valuable items (e.g. cash, jewellery, electronics) in checked luggage or stored away from you when using a transport provider. 10) Bus stops and buses (especially overnight ones) are a common target for thieves. Secure valuable items where possible by keeping them on your person and using padlocks on your bags. Because here in the biggest flower market in Asia, something like 2,500 vendors a day trade fresh-cut flowers by the hundreds of kilograms… some 1,500-plus tonnes in fact, brought in daily from farms 60kms or more out of town. 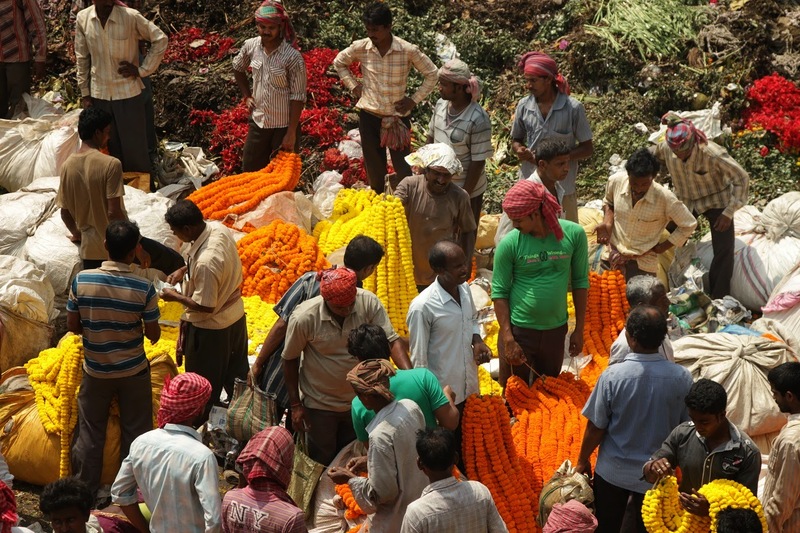 Name a warmth-loving flower and you'll find it at Mallick Ghat… travel writing colleague Roderick Eime who was there just recently discovering the markets to be a fascinating if chaotic 15- to 18-hours a day of frenzied bidding, bargaining and bustle as vendors and buyers haggle over prices. But Roderick warns that while Mallick Ghat's certainly worth a visit during a stay in Calcutta, be ready to splash around a muddy calamity under-foot, and to be constantly jostled amid the competitive crowds. It's all, Roderick says, something of an assault on the senses, with the fragrant perfume of those tonnes of flowers, competing with the ever-present aroma of one of India's busiest, most densely populated and over-crowded cities. From the sobering UNESCO site of Robben Island to the glittering malls of the Victoria and Alfred Waterfront, Cape Town is a solid favourite with visitors from all over the world. No matter what anyone tells you, you can only visit Robben Island, you can never 'experience' it. Ever since the last prisoners were released in 1996, the cells of Robben Island have stood empty. The stark painted walls, rusty bed frames and chipped iron bars sit alone and forlorn, the stiff, salty sea breeze whistling a shrill tune as it passes through. Only those poor souls who lived behind these walls can ever claim to have experienced this God-forsaken place. The saga of Nelson ‘Madiba’ Mandela shall always hold a special place in the story of Robben Island. The once renegade activist, National President and father of modern South Africa spent 18 of his 27 years in jail on Robben Island along with numerous other high profile ANC leaders such as Kgalema Motlanthe, who also served as President of South Africa, Oliver Tambo and current President, Jacob Zuma. Perfectly located a tantalising distance from Cape Town, the seven kilometres of angry sea acted as the ideal barrier to escape attempts with the only ever escapee doing so in 1660 by stealing a rowboat. With the passing of the great man at the age of 95 last December and the almost immediate release of the movie adaptation of his autobiography, ‘Mandela: Long Walk to Freedown”, Madiba’s presence on all things South African is at the moment almost supernatural. The jumping off point to UNESCO World Heritage-listed Robben Island is right at Cape Town’s glorious V&A Waterfront with ferries running four times a day. Allow four hours for the tour and return ferry ride. Cape Town itself is frequently listed on various ‘Best Of’ lists as one of the world’s most beautiful cities to visit. It certainly has one of the most striking vistas, with the ‘City Bowl’ poised elegantly on the slender plain as a front piece to the imposing Table Mountain backdrop. 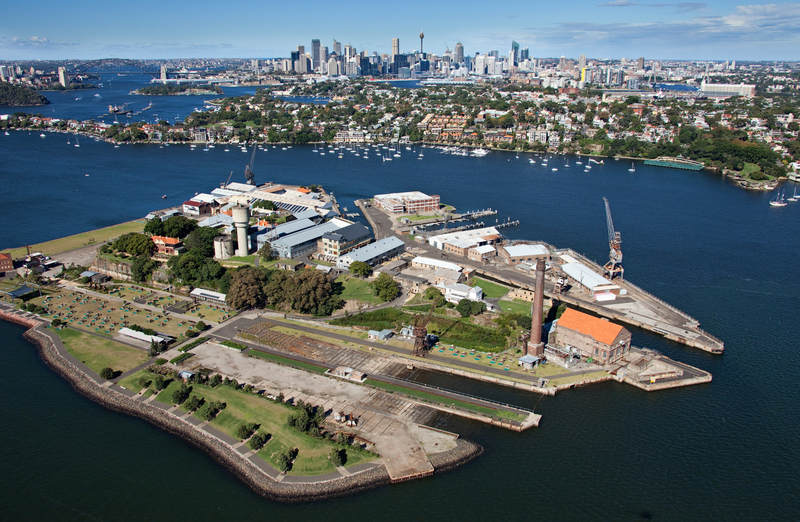 As if draped in layers of snow-like fairy floss, the kilometre high, flat-topped natural fortress has protected the ‘mother city’ for more than 350 years. The range of activities in and around Cape Town is enormous. 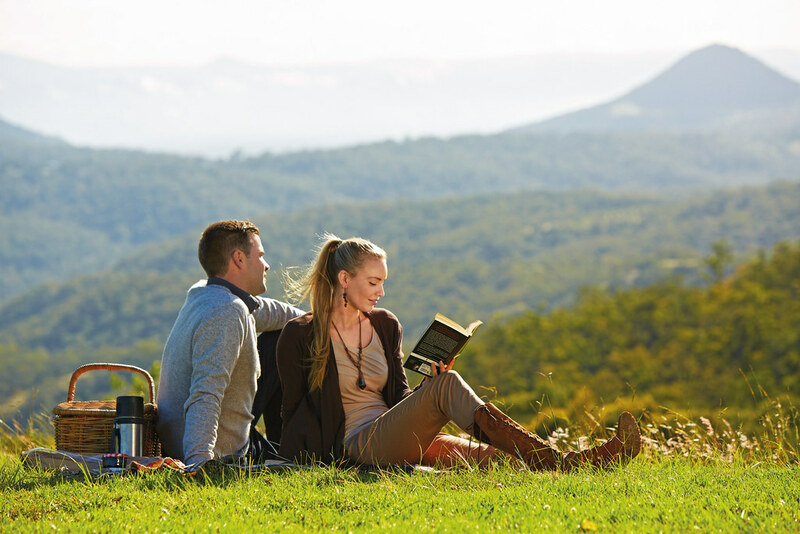 Tours, treks and tastings abound from abseiling and shark cage dives for the adrenalin junkies to urbane food and produce tours to the gorgeous Stellenbosch or Constanzia regions within an easy drive of downtown. While Cape Town may boast the most desirable city in South Africa, it is by no means the only one worth visiting. To continue the ‘Madiba Trail’ across to Johannesburg, an exploration of the once forbidden (for white folks) township of Soweto is a perfect bookend to the Robben Island adventure. The South Africa you visit today is a far cry from the strife-torn, segregated country of Mandela’s adult years. The bright ‘Rainbow Nation’ which hosts world class sporting events and welcomes around 10 million international guests annually is the glittering and glamorous gateway to Africa. 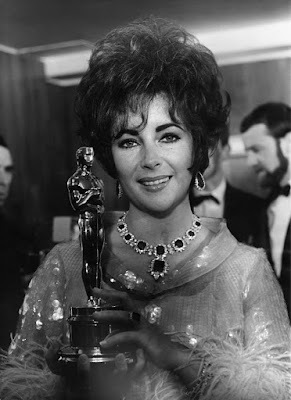 Best Actress in 1967 in "Who's Afraid of Virginia Woolf?" Founded in 1985, the Foundation has in 30 years distributed millions of dollars to some 700 AIDS organisations in 37 countries around the world. Many of the images at the just-opened London exhibition provide little-known insights into the actress, who was tireless both in her working and behind-the-scenes private lives. 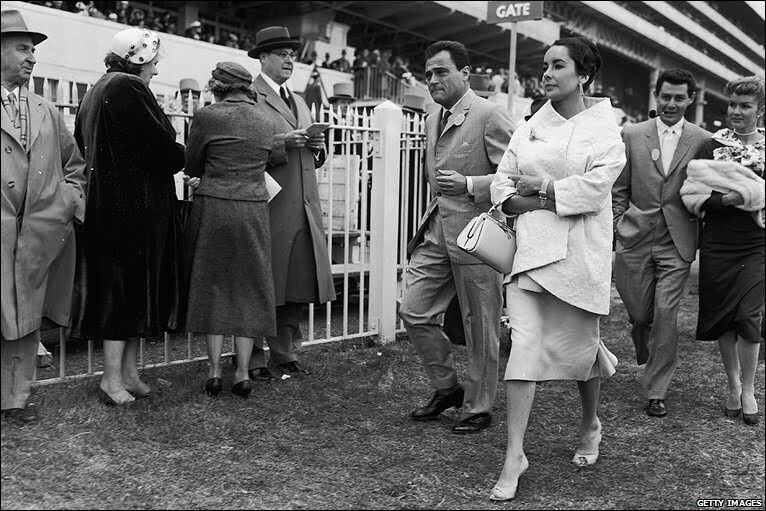 They include one taken at Epsom Racecourse in England in 1957 of Taylor with third husband, film producer Mike Todd, together with "best of friends" actress Debbie Reynolds and her then-husband, singer Eddie Fisher. followed by singer Eddie Fisher and his then-wife actress Debbie Reynolds. After Todd died in a plane crash in 1958, Fisher suddenly divorced Reynolds to marry Taylor. The Elizabeth Taylor photographic exhibition is open until November 7 at the Getty Images Gallery, 46 Eastcastle Street, that's close to Oxford Circus in Central London. Entry is free, with a percentage from sales of images on show going to ETAF. IN his continuing search for the more weird and wondrous in this world, David Ellis says a record over-38,000 people flocked to this year's NSW Southern Highlands Tulip Time Festival… almost four times the population of the little town of Bowral in which the annual event has been held every Spring for 55 years. 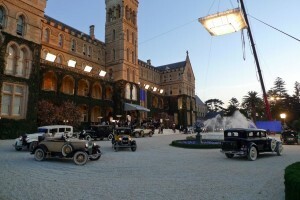 And they spent a whopping $7m-plus in Bowral and the Highlands' other major centres of Mittagong and Moss Vale and surrounding historic villages – making the fortnight-long Festival now the biggest event in regional NSW south of Sydney. Centre-piece was Bowral's Corbett Gardens with an extraordinary 100,000 tulips and 20,000 flowering annuals, while many public parks throughout the Highlands were also ablaze with colourful flowering bulbs and annuals, and numerous private gardens – some on acreages surrounding grand mansions – also open to visitors. 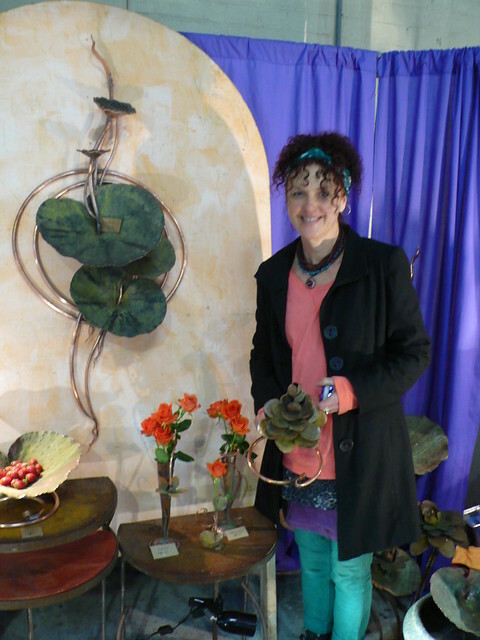 Event Co-Ordinator with Destination Southern Highlands, Debbie Pearce credited the success of this year's Tulip Time to an expanded range of events and activities alongside the actual garden displays. These included musical performances across both weekends of the Festival, the always-popular Tulip Time Street Parade, an open-air Cinema@Sunset, a Music in the Gardens evening, children's pantomime, a bar with local cheeses, wines and cider, street markets, and an exceptionally popular Dogs Day Out. "And the introduction of easily-identified volunteer 'Greeters' at Corbett Gardens this year to assist visitors with local information and directions, enhanced the overall visitor experience," Ms Pearce said. 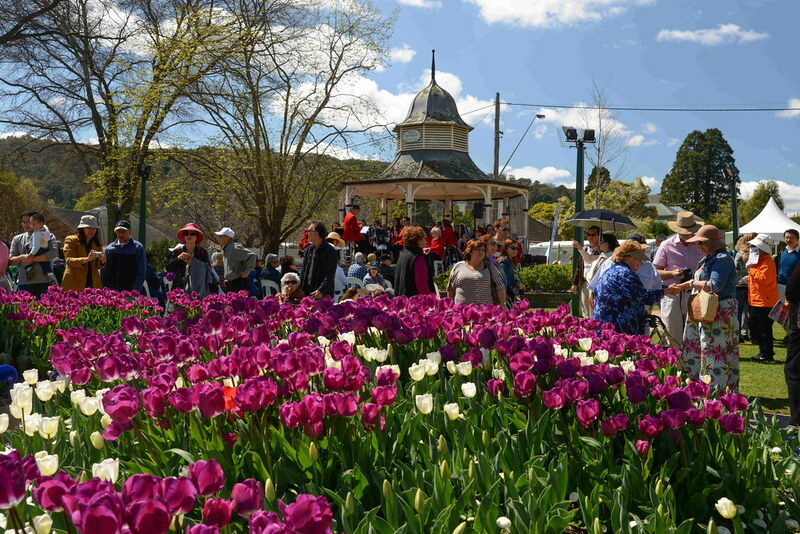 Next year's Southern Highlands Tulip Time Festival will be held in Bowral from September 13 to 25 2016. Responsible tourism. The way of the future. 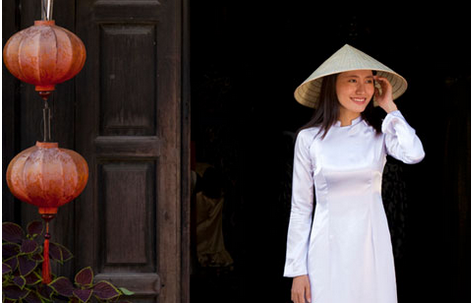 Tourism is the world’s largest industry, growing larger every year. In 2012, for the first time in history, aggregate international tourist arrivals around the world surpassed one billion. In 2011, international tourism receipts exceeded $1 trillion. Hand in hand with this extraordinary development of global tourism is an unprecedented level of interest in responsible travel, coinciding with people’s desire to get away from run of the mill holidays in favour of travel experiences that are unique, authentic and meaningful. In addition, the rise of philanthropic programmes and ‘volun-tourism’ indicates that consumers increasingly seek to give back to the communities they visit. These twin desires for unique and ethical experiences have placed increasing pressure on tourism suppliers to improve their social and environmental responsibility. Of course some businesses have been well ahead of the curve of this trend. Abercrombie & Kent Philanthropy (AKP), the philanthropic arm of luxury travel operator, Abercrombie & Kent, traces its beginnings back to 1982 when A&K Vice Chairman Jorie Butler Kent, together with A&K founder, Chairman and CEO Geoffrey Kent, first raised funds for conservation efforts within Kenya’s Masai Mara National Reserve. Today, AKP carries on A&K's social and environmental commitments on a global scale. A&K's more than 50 companies and offices worldwide sponsor projects designed to benefit the communities in which they operate. A&K staff members donate their time and labour in addition to lending financial support, and rigorous oversight ensures that every donation is put to worthy use. Recent projects undertaken jointly by A&K and Sanctuary Retreats include the relocation of 20 rhino, both black and white, into the Moremi Reserve in Botswana where they are under protection 24/7 and safe from poachers. Guests staying at Sanctuary Retreats’ camps and lodges in Botswana will also have the opportunity to see these endangered animals while on safari. Earlier this year, Abercrombie & Kent also teamed up with Wheels of Change to fill a shipping container with donated bikes and equipment for Nakatindi village in Zambia to enable healthcare workers and students to attend the nearest secondary school 11 km away. Much to the excitement of the community, over 700 bicycles were recently delivered to the village. The containers in which they were delivered have been converted to a bicycle repair centre, with five local women selected to operate the new shop who are now hard at work learning how to be bike mechanics. The project is one of many that AKP and Sanctuary Retreats’ Sussi and Chuma camp have implemented in the village. 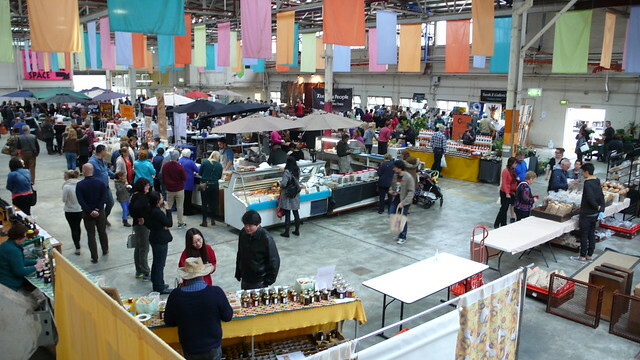 The Old Bus Depot Markets in Canberra is a kaleidoscope of foodie flavours and colour. A great way to spend a Sunday - rain or shine. Can you keep a secret? Norfolk Island has managed to keep a big one for a long time now - however your kids will be the ones to spill the beans within hours of arriving on the Island. 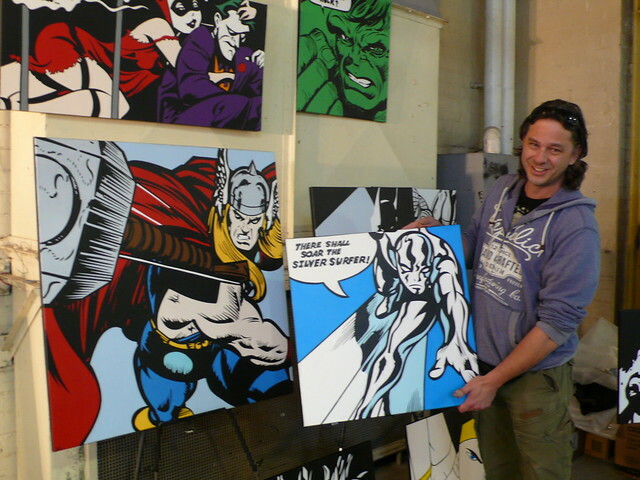 And if you want a big hint (or the answer really! ), it’s that Norfolk Island is a brilliant family holiday destination! 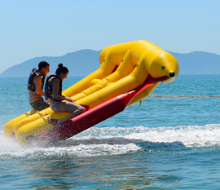 It has all the elements to keep everyone entertained and at the same time able to kick back, re-connect and enjoy being a family on holiday together. Perhaps one of the best times for a family visit is January, especially after the chaos of Christmas and New Year when everyone is in need of having their batteries re-charged. The crystal clear waters of Emily Bay become the hub of the island during these warm summer days. From an early morning swim on a near deserted beach; through energetic mid-morning leaps off the raft (conveniently moored mid-Bay); snorkelling past multi-coloured fish and coral in the afternoon; and finally grabbing a tasty burger from Se Moosa Bus (a takeaway van translated from the local Norf’k language as “I’ve eaten enough to bust”), and eaten with a picture-perfect-sunset as the evening’s feature film. In truth for parents, Norfolk Island is just plain easy. On your journey down to Emily Bay (or anywhere on the island) you won’t find traffic (or even traffic lights! ), nor queue’s, nor parking problems. Here, you pull up across the road from the beach and can even pass on locking the car; such is the safe nature of the island. Often visiting kids end up playing with the local, friendly kids. The choice of non-beach activities are excellent including kids sheets at the museums, mini-golf, fishing (off the pier or boat fishing charter), kayak tours, horse & carriage rides, rainforest walks in the National Park’s, glass bottom boat rides, guided reef walks, and, for the more adventurous a tour to nearby Philip Island. Playing with the ducks and chooks that wander freely in many areas and exploring the green, green valleys of the island’s interior may also make you think you’re on a rural escape. Norfolk Island has a pristine environment including the freshest of fresh clean air that at night becomes totally star-filled. Most city kids won’t have seen anything quite like it and will get a quiet buzz from learning how to pick out the constellations and spot the dot of satellites moving evenly across the sky. 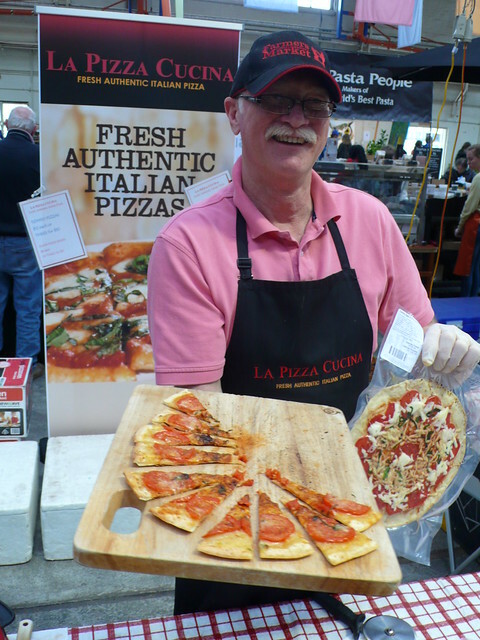 With all produce locally grown the idea of food miles is converted into food meters and tired taste buds literally come to life eating fresh, tasty produce. Buy your fish right off the jetty as the boats come in or from Saturday’s market where most of the fruit and veg were picked that morning. There is something deeply pleasing about feeding your family genuinely fresh seasonal produce that tastes like food used to taste before cold-storage was invented! 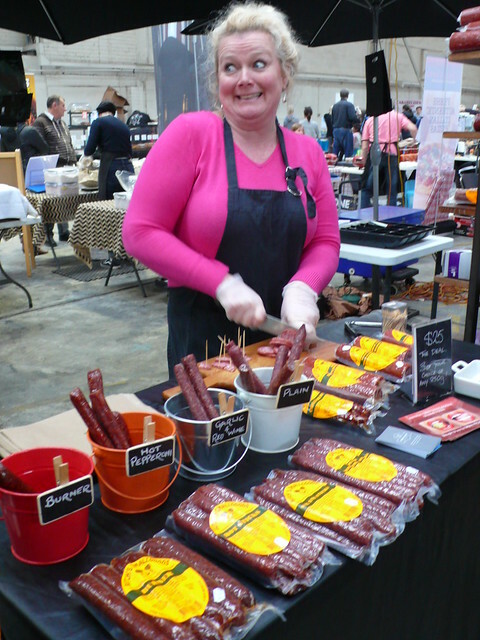 Norfolk cafés and restaurants creatively use seasonal produce to make delicious meals for everyday and also special dinner occasions. All clubs and many restaurants have kid’s menus. The chance for a family to wind-down and re-connect seems to come naturally on Norfolk Island. This is a friendly, laid-back place where the cows have right of way on the roads and drivers wave to each other as they pass. Norfolk’s magic inevitably weaves its spell on all, from pre-schoolers to sceptical teens and weary mums and dads. It offers the chance to do a lot, or not much at all - but especially to just enjoy being on holiday together. The secret of Norfolk Island is out - kids love this place – just as much as their parents! Take advantage of a special Kids Stay Free Deal! From 10 December 2015 to 16 January 2016 January a great family special is available for 2 adults and 2 children where the kid’s accommodation is free. This special is for accommodation at Aloha Apartments, featuring self-contained apartments and a pool. Packages start at $1189 per adult and $560 per child. Prices include: Return ‘seat and bag’ airfare to Norfolk Island, pre-paid airline taxes & meet and greet at Norfolk Island Airport, 7 nights quad share accommodation, 7 days car hire including surcharge (petrol is extra and payable whilst on the island), half day Island tour, discount shopping car with free gift, complimentary mini-golf and Walk in The Wild’. Prices current at time of printing, subject to availability & change without notice. Conditions apply. Travel insurance is strongly recommended. 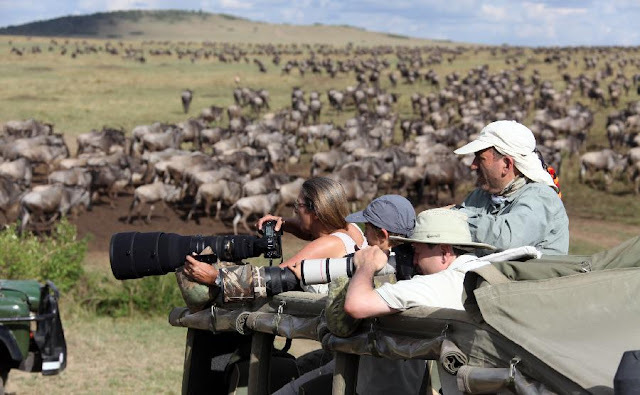 The Masai Mara and Serengeti are two of the most famous national parks in Africa, best known for offering up ringside seats to the Great Migration – which makes them both extremely popular destinations for luxury safaris. The Great Migration is undoubtedly one of Nature's most unforgettable spectacles: 1.5 million wildebeest accompanied by 200,000 or so zebras are engaged in a never-ending journey, following the rains in a circular 1,200-mile route, through a wilderness that takes in the Serengeti National Park and Kenya's Masai Mara Game Reserve. The annual migration actually begins deep in the south of Tanzania's Serengeti National Park, where an estimated half a million wildebeest are born between January and March each year. 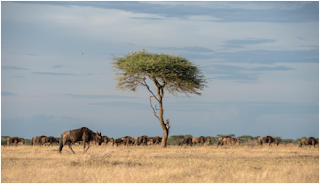 But when the rains trickle to a halt in May the land dries out, forcing the grazing animals to move on and head for their dry season habitat – the Masai Mara region in neighbouring Kenya. With the beginning of the short rains in late October, the migration makes its way back into the Serengeti – which makes it the perfect time of year to be anywhere in the northern part of the National Park. By December, having emerged from the northern woodlands, the herds then return to their calving grounds in the south once again and the circle is complete. Of course, rain is the greatest motivator underpinning the annual migration and largely dictates where the herds can be found at any given time. For example from July to October is generally the optimal time to catch it in Kenya, although unusually dry conditions in the southern Serengeti have encouraged the animals to head north far earlier than usual this year, with hundreds of thousands of wildebeest arriving in the central areas of the Serengeti from as early as March. The rainy season runs from October to May and typically begins with the short rains – a period of gloriously hot sunny days punctuated by brief torrential thunderstorms, before peaking with the long rains of April – a month to avoid when most camps close and the plains become quagmires. When the rains end in May wildebeest normally head for the Masai Mara, navigating their way past hungry Serengeti lions, leopards, cheetahs, hyenas and crocodiles. This year was a little different, the significant lack of rain having forced herds to leave their breeding grounds much earlier than usual. Lying in wait for them – the notorious Grumeti River crocodiles, which exacted a high toll as wildebeest traversed the river's still high waters. Zebras are often the first animals to arrive in Kenya, grazing on the tall grasses, with wildebeest not far behind them. Here they remain from July to October – the main tourist season –when visitors flock to watch dramatic river crossings. But as soon as the rains return the wildebeest head back to the Serengeti, drawn towards their calving grounds in the south of the Park. In the dry season there are few animals to be found here, but between January and March during calving season, surely nowhere in Africa feels so alive. Welcome to the August issue of BritainCalling; this month we bring you the new edition of our Shopping is GREAT guide, packed with story ideas that will inspire you to explore shopping in Britain. We also look at the new destinations that will be playing in the Barclays Premier League next season; where London's Night Tube will take you when it launches this September; how Wales is celebrating Roald Dahl's centenary in 2016; and what you'll see when you buy tickets for the new Borders Railway in Scotland! 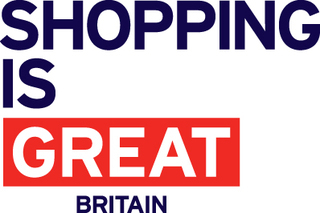 A new edition of Shopping is GREAT guide has been put together for international media. Now in its fourth edition, it has grown to 112 pages of new and updated story ideas and information designed to inspire you to explore, and write about, shopping in Britain. Some of the new highlights include: Clothes with a conscience - follow our guide to British stores and brands selling covetable clothing that makes the world a better place; Kings and Queens of cool - Britain's trendiest streets and neighbourhoods; the unique, unusual, quirky: where to find specialist shops in Britain; and Make it, then take it home - there are many places to buy a gift to take home for loved ones, but why not go that one step further and make your own? We’re looking forward to the kick off of the new Barclays Premier League season next month; as well as the opportunity to watch the crème de la crème of English and Welsh football (Scotland has its own league), the new season is also the perfect chance to visit the clubs' destinations. Reaching from the far north-east of England (Newcastle) to the south of Wales (Swansea), over to London and across to the hip cities of north-west England (Manchester and Liverpool), following Barclays Premier League football also means discovering some of Britain's most exciting cities. Each season the Barclays Premier League welcomes three newly promoted clubs to its ranks and joining the 2015/16 season are Watford, Norwich City and AFC Bournemouth. Find out more about these destinations here. From 12 September travellers in central and greater London will be able to travel across the city on five of the major underground Tube lines 24 hours a day from 5am Friday till midnight on Sunday from 12 September. Find out here which lines will be operating and read more here about the capital's late-night dining, drinking, clubbing and hot-spots from north to south, east to west of the capital. Discover more here about where to go for 24-hour dining if you’re hungry after a night out! Wales has announced its programme of events to celebrate the centenary of Welsh-born author and one of the world's number one storytellers, Roald Dahl, in 2016. The Welsh Government, National Theatre Wales, Wales Millennium Centre and Literature Wales have announced the Wales programme of events to celebrate the centenary. The announcement was made at the Norwegian Church in Cardiff, where Roald Dahl was baptised and which always remained close to the author's heart. Read more on how to celebrate here. If you want to know more about Scotland's newest scenic railway, the Borders Railway, which will take passengers on picturesque journeys into one of Europe's most unspoilt regions from 6 September 2015, read on here. A big draw for visitors will be the attractions and landscapes associated with novelist Sir Walter Scott and his writings. Delving deep into ‘Scott country', visitors can start their journey at the Sir Walter Scott monument in Edinburgh and then travel the 30-mile route of the Borders Railway, taking in the scenery that inspired Scott's greatest poems and novels, ending at Tweedbank, just a short distance from his beloved Abbotsford House.